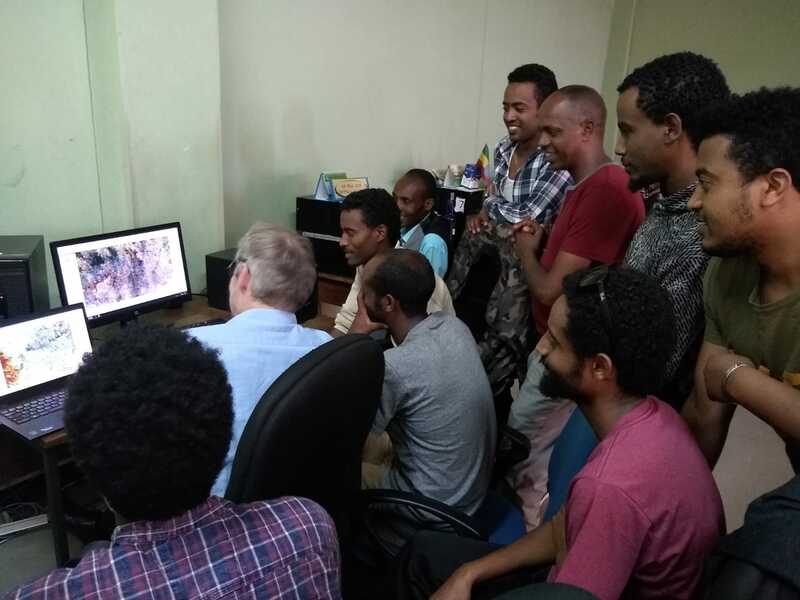 IGN FI travelled to Addis Ababa to give a training course to the Ethiopian Geospatial Information Institute (EGII) teams on how remote sensing can contribute to land cover projects. This training course falls within the terms of a framework cooperation agreement concluded between CNES/EGII (formerly EMA, the Ethiopian Mapping Agency) and IGN FI. The agreement relates to updating the land cover layer of the topographical map at 1:50,000 scale. In this context the CNES provided EMA with atmospherically corrected Sentinel-2 images with clouds removed, and IGN FI is responsible both for the training needed to be able to exploit the Sentinel-2 data and also for supporting the EGII in thematically checking the land cover layer. Thanks to this project the EGII will be able to provide updated maps for the identified pilot areas. This experience demonstrates that by using space, updating the cartography of many countries is now possible at lower cost.